WeBuyCumberlandHouses.com is a local business dedicated to selling your home. Selling a home is a long process, but if you choose us, it doesn’t have to be because you won’t be doing it by yourself. We are able to close our deals fast and make it a smooth process along the way, while we get you the cash you need. 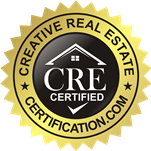 We are a company committed to building a network of the most well-trained and highly-equipped real estate professionals in the industry. To achieve this, we offer a step-by-step system to create a prime opportunity for their success. We also provide hands-on workshops to help our employees maximize the full potential of our technology and services. If you’re in need to sell your home and are looking to make fast cash at the same time, you’ve come to the right place. Give us a call at 717-379-0179 to get started selling your home today. More Fees You’ll Be Paying After Your Offer Is Accepted: Everything You Need to Know About Closing Costs.